The New "Blakk Stealth" incorporates that elegant Perforated style with the classy, yet subtle styling of Satin Black Powder Coating. 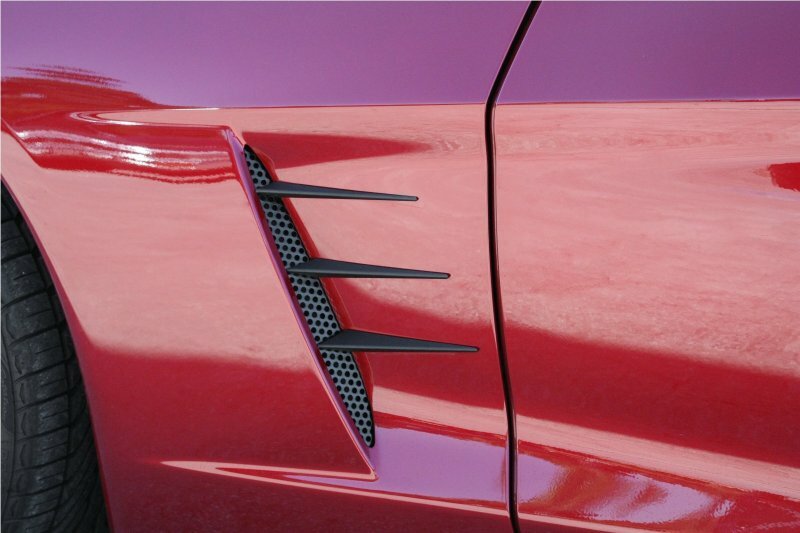 Dress up your 2005-2013 C6 Corvette with these sleek Perforated Stainless Steel, Side Vents with Spears. 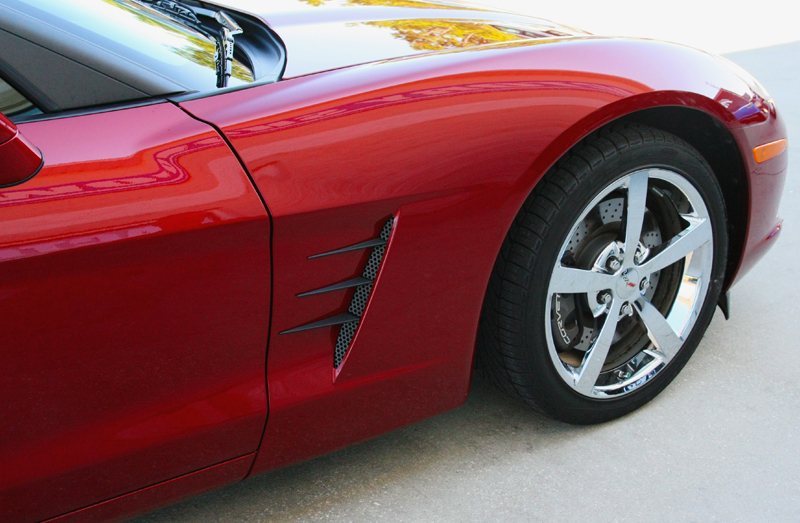 These trim pieces are designed to fit all 2005-2013 C6 Corvettes in the side fender vents and adds a clean stylish look to your Corvette exterior. 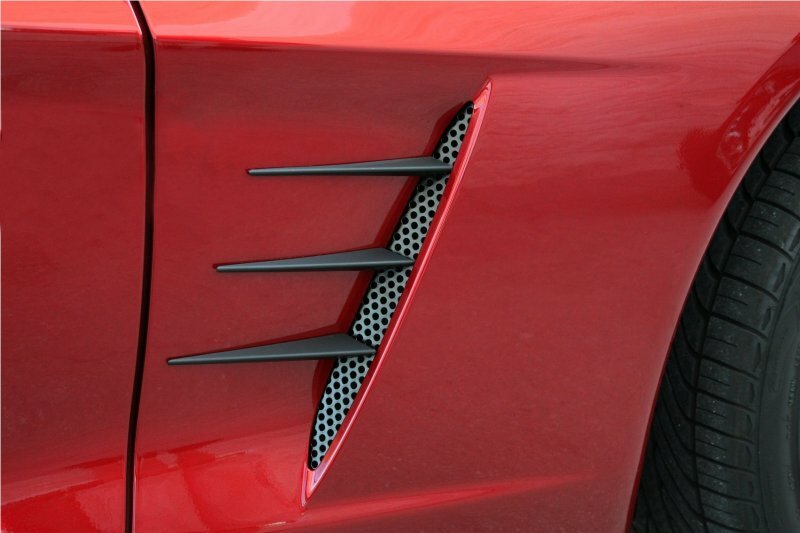 NOTE: This part does not fit the Z06, ZR1 and Grand Sport Corvette. 100% Stainless Steel. 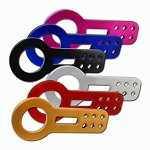 Black Powder Coated finish. Will not tarnish, fade or rust.